MORR-IS-Stored is a family-owned and operated business that has been in the construction and real estate development/rental business since 1979. MORR-IS-Stored was started in 2001 when the Morris family saw the need for a high-quality self-storage facility that could provide customers with the highest level of security, convenience, cleanliness and service. We are here to meet all of your storage needs at fair and affordable prices. 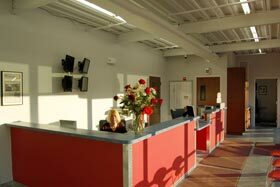 Please call or stop in today to check out the newest, most modern and conveniently located facilities in the area.